Liberty Bar t-shirts, Slow Pour Supply customized pitchers, Urnex cleaning products, Created Co.
financial support of our presenting sponsor, Pacific Foods Barista Series. intense relationship bonds and unbeatable skills in competing in a barista competition. and in the World, both on and off the stage. to partnering with you for the 2020 season**! 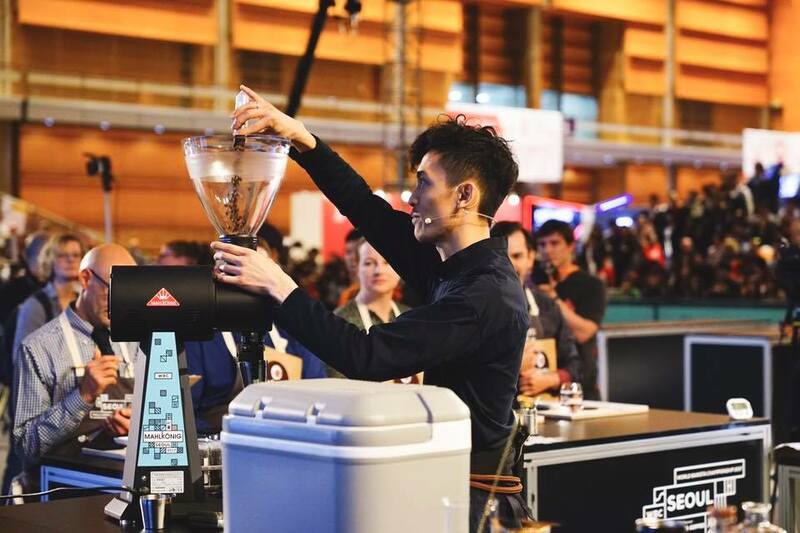 The Top #4 Competitors of the World Barista Championship 2017, used Pullman tools. We're always chuffed when we see Pullman in the hands of baristas across the globe via the Socials. It goes without saying, seeing them used at World Competition level, makes us pretty darn proud. Not only did the Top #4 Competitors use Pullman, 50% of the Top #30 did too. The 2017 Champion, Dale Harris of Hasbean Coffee, UK, used the patented Pullman PergTamp (now named NexusPro) which is the first ever, angled side-wall tamper. 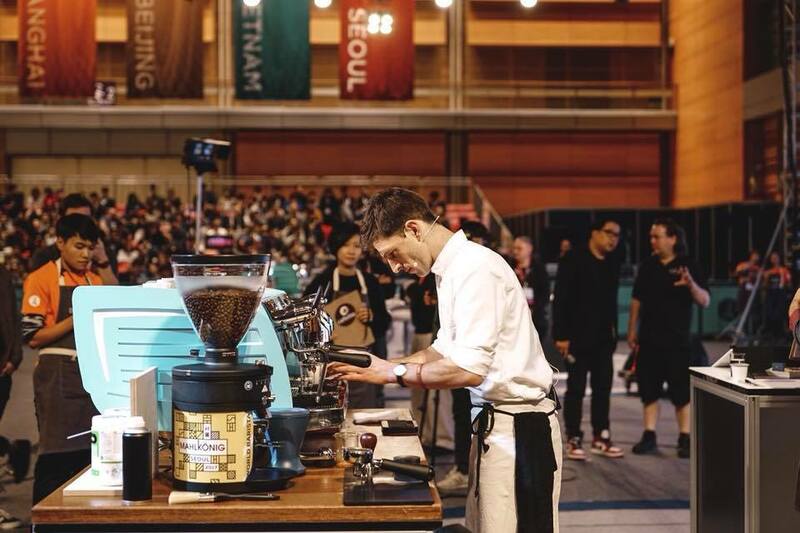 In 4th place was our friend Benjamin Put of Monogram Coffee, Canada, who used the BigStep Titanium and 2 Chisels, one set for milk course and the other set for espresso. "I use Pullman products because they increase extraction, which contributes to better flavour, but the bigger one for me, in the shop and in competition, is that they lower the odds of having a bad shot. A tamper that doesn’t properly fit will lower your extraction percentage, but it is also more likely to channel on the sidewalls of the basket." 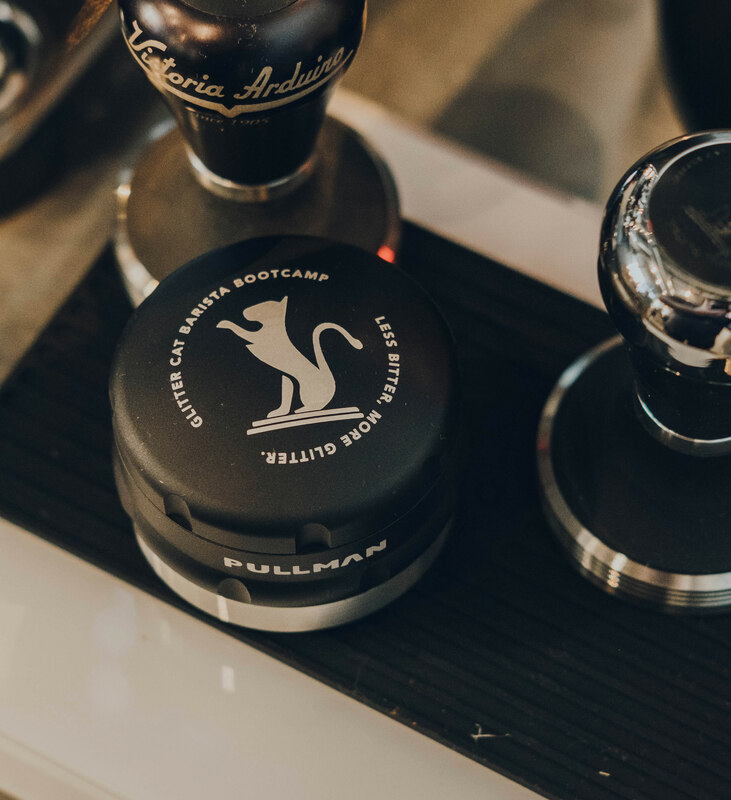 While the weapon of choice was the flagship Pullman BigStep tamper, there was an increasing number of competitors using there-distribution tool, Pullman Chisel this year. 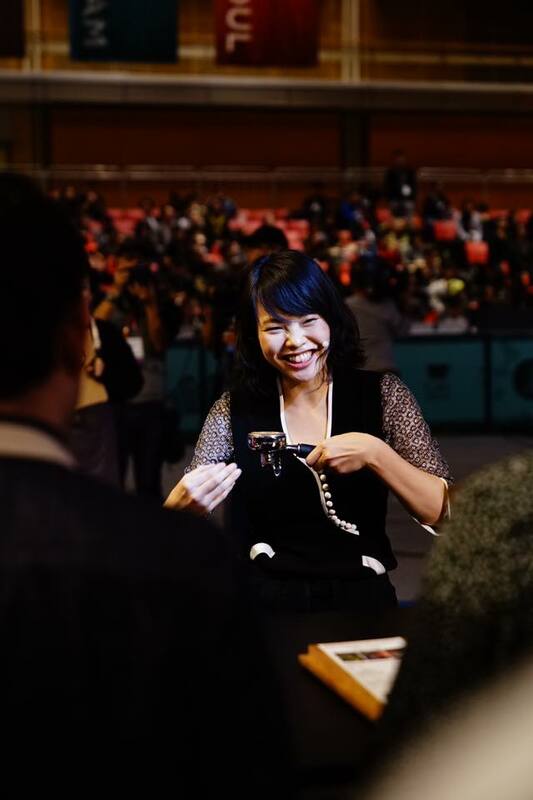 2nd place was our friend Miki Suzuki of Japan, who used both a Chisel and BigStep tamper, her main focus being “consistency for extraction”. Followed by Kapo Chiu of Hong Kong, who used a Chisel for re-distribution. From the Pullman team Adelaide, Australia - Thank you for your endless support, we look forward to making tools as the industry requires for many movements to come. We know coffee brings people together, but this newly-engaged couple from Lillydale, Victoria, have shown us a whole new level. When Corey Williams, of Mr. Ristretto contacted us to help him achieve the perfect proposal, we were honoured to be a part of the big day! Here's a little more about the story. Tell us a little about yourself and your fiancé? How are you involved in coffee? We met when we were 10 (or so) years old at a skating rink. I like to think I charmed her with my rad skating skills right away. Took her another 9 years to decide to go on a date with me though……..
We’ve both been involved (individually) in the coffee/hospitality industry for over 10 years. But, we both quit our jobs in 2015 to focus on building our own little venue together. We opened Mr Ristretto in early 2016 and have developed very quickly into a highly regarded destination for quality specialty coffee in the Yarra Valley. How did the proposal happen? Talk us through the moment? I had to tell a million little lies to hide what I was planning. She signed for the Tamper package at the shop. So I had to start making excuses as to why she couldn’t have it right away. I thought of a million ways that I could ask the big question. But ultimately, I went down the traditional path and picked a nice dinner restaurant to blurt it out. Why did you choose a Pullman Tamper? I like to try and do things a little differently. I hadn’t ever heard about anybody doing anything quite like this. We spend most of our days hovering around a coffee machine, so it seemed fitting. Is she going to use the tamper? Initially she said it was far too pretty to be used…… But also said it was far too pretty not to show off to the world. So it sits next to my Pullman at the café (we’re starting a collection). I’m not allowed to use hers though. She says I’ll just “make it dirty”. Check out Corey's and his new Fiance's cafe Mr. Ristretto , you'll be sure to find some serious love and passion behind their espresso shots! National Competition Filtration Basket, 2017-2020!